Although software resetter Canon Pixma iP1980 or resetter canon Pixma iP1900 series not available on the internet now. Doesn’t mean there is no way to reset the printer series. My opinion canon Pixma iP 1980 is new version of Canon Pixma iP 1880 so the reset methode for canon iP 1880 can be applied to Reset Canon iP1980. I also tested using reset methode for Canon iP1700 on it’s work on several Printer Canon iP1900 series. 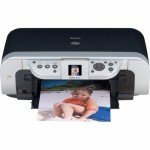 He say have tried it to Canon Pixma IP1980 and it perfectly works without using General Tools or IPtools. Related to "Reset Canon Pixma iP1980 or Canon iP1900 series"
i mean it will damage partS of your printer if you will not clean/change your ink pad. how to change USB port to Canon Port? Mine shows USB port only. excellent tutorial…(tnx)it works! simply follow this steps! how can i open my printer ip1980 for me to clean waster ink? @ronaldo ramos, the solution from J-tech maybe solve your problem. @Fz Thank you for the info. I’ll check the website as soon as possible. Thank you so much for the steps. I look forward in implementing it soon. abis diinfus warna birunya koq g keluar ya? Thanx to J-TECH..my pixma ip 1980 back to normally. Reset without resetter software. THANK YOU FOR FOLLOWING MY STEPS. I’m GLAD I help you. Thank You and Let’s share more… whatever we learn about canon printer. follow this steps in youtube.com ..
it says “not responding” every time i clean the waste ink pad ..
ei just follow the link ( http://www.ziddu.com/download/3063183/GeneralToolsforCanonPixmaip1880-xp.rar.html) and then follow the instruction #2 to the last… trust me it will work. i just tried it. thanks for the resetter.. my printer is now working properly..
thankssss…ok na ok….godbless you nad more power…. i’ve tried it to Canon Pixma IP1980 and it perfectly works without using General Tools or IPtools. it works for me but it is only on service mode, i still use the general tool while in service mode. Works for me… I’m using IP1980 (Canon). Thanks for the guides. I reset my cartridge in ip1900 by J-TECH instruction it’s ok but after power off my printer and then power on my monitor said cartridge is empty. Why this is happen? What am I doing wrong? tank guys…. we love ….very-very much more…. byee..
what is the problem of canon 1980 if the green light blink once and the orange light blinks seven times? and every time i print it says ink cartridge is not properly installed, can anyone help me how to troubleshoot this,pls…. Thanks..Your technique in resetting is really next to God. effective!!!! @mel, It caused found problem with your cartridge, usually caused by chips error, chips connector dirty, or the cartridge have been damaged. mean of compatibility mode is safe mode?isn’t it? Did not work! !Error 122 came up.Port Name Not Regist!! I tried the step two (software resetter) but the program (GeneralTool.exe) says… “Wait a moment” I wait a long long time but no happen… always says “Wait a moment” and the GeneralTool wezard says “Not responding” what is the problem of this? please help me!!! my printer is IP1980 and was purchased 2 months ago. my problem is that it doesn’t turn on anymore. it seems that its power is no longer functioning. what can possibly be done about it? It worked on a IP1900 bought in Mexico. anyone can answer this? why it always said port name not regist! what is that mean? what it is not working with me? i tried downloading many times and same error appears. Dagreyt, my printer is now working! You’re a genius! Thank you very much! ..it really works! thank you! tip: to win7 x64 based machine use compatibility and run the general tool as win xp application and as administrator. Manual reset from Dagreyt works perfectly.